There are a lot of stereotypes out there -for everyone. However, I have found that since I started using my cane, people were more vocal about things they assumed about me, or blind people in general. These are some assumptions that have been made about me at one point or other. Don't assume I am totally blind. Sure, I am using a cane, but I also have some vision. In fact, over 90% of white cane users have some remaining sight and, believe me, we use it as much as possible. 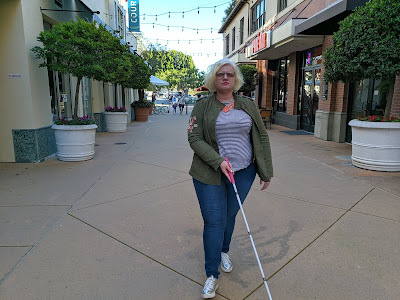 Just because I am using a cane and I can see, it doesn't mean I am trying to trick you into thinking I am totally blind. My cane is a mobility tool that helps me travel safely and I am not getting any special benefits out of using it. In fact, it is very inconvenient to always have a busy hand so, trust me, if I didn't feel a need for my cane, I wouldn't have it. Don't assume I can't talk. I want to start by saying that I realize this is a contentious issue in the disability community and that there is no right or wrong answer. I think everyone should do what they feel comfortable with. That being said, I have an opinion that has changed over the years and I have experienced everything from not disclosing at all to being open from the get go. On Tuesday I woke up bright and early so that I could board Amtrak's Pacific Surfliner to Santa Barbara. I had never taken an Amtrak train in the States -let alone by myself. I will discuss how accessible it was at the end of my post. For now, I want to focus on the trip itself. 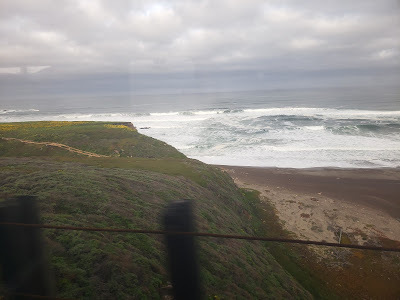 The train was extremely comfortable and one of the conductors told me which side to sit on to get the best views. In the two and a half hour journey from San Luis Obispo to Santa Barbara we went through mountains and a gorgeous shoreline. The sea was roaring and some of the passengers got to see whales as they were migrating -I didn't, because... blindness. However, I certainly appreciated the beautiful scenery! If you are blind or legally blind, you become very comfortable with awkward. The fact that you can't see or pick up on someone's nonverbal cues can get you in some really sticky or embarrassing situations... You can do two things: 1) You can hate yourself for that (not too healthy!) or 2) You can laugh it off and decide that this is what makes life interesting. I decided to do the latter. I laugh at this situations, usually once I realize what's happening. However, that being said, not everyone is like me. Please, don't assume that if a visually impaired person gets themselves into a similar situation as me it is Ok to laugh -it's not! Wait for a cue from the person so you know how to react. So, I hope you will join me for some laughs in what certainly are cringe-worthy situations I have gotten myself into because I am legally blind. Is this not the girls' bathroom? I love traveling, always have. I am fortunate that I was able to travel so much from a very young age. For me, traveling is about so much more than just seeing new places and trying new food. For me, traveling is a chance to immerse myself in a new culture, learn new things about that place's history and gain a new perspective on the world. 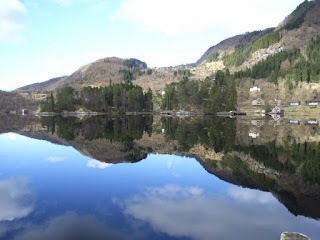 NORWAY: Some may say this doesn't count because I had the privilege of living in Norway for two years. However, in that time, I got to explore so much of the country. If I had to describe Norway in one word, I would say magical. Albeit seemingly cold, Norwegians are welcoming and eager to help in any way they can. I was impressed by how clean cities like Oslo and Bergen are. I loved to see the wooden buildings and the country's rich history. 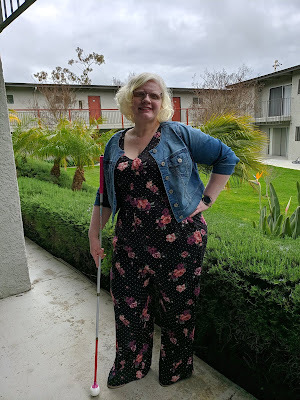 I started using a white cane about six months ago. I am legally blind, which means that my best corrected vision is 20/200 or less. I am not totally blind. In fact, more than 90% of white cane users aren't; we have varying degrees of vision loss. I was never taught how to use a cane growing up (even though I was born legally blind) and I don't even remember it ever being a discussion. It might be because in Spain we don't have as big a culture of white cane use like in the United States, or perhaps it is because I have pretty good functional vision. In other words, I don't generally bump into stuff. So why did I decide to start using a white cane? I am just a millennial woman going through life legally blind. Come see the world from my perspective!